Who said vegetables always have to be healthy? I don't mean to say that eating healthy is bad but sometimes, you want to eat something that you know may not be the best for you. Why not alleviate that guilt just a teensy bit by including more healthful ingredients? It can still taste quite wonderful. I really enjoy potatoes au gratin, even making a White Cheddar Potatoes Au Gratin once, but coming across a significant amount of rainbow heirloom carrots made me wonder if I could make those in the same way. 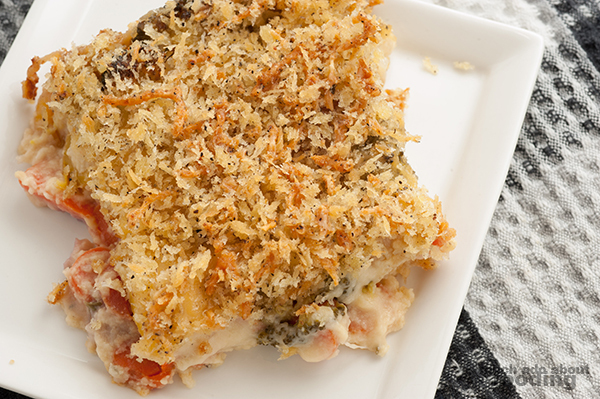 Lo and behold, some maneuvering can make it happen so here is a vegetable gratin recipe to use that is vegetarian as well (not vegan)! 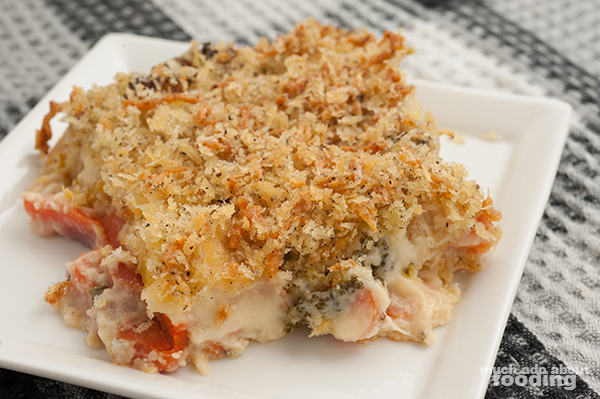 The combination of carrots with broccoli in a crunchy, cheesy side dish is a great way to work in some extra vegetable vitamins into a meal. 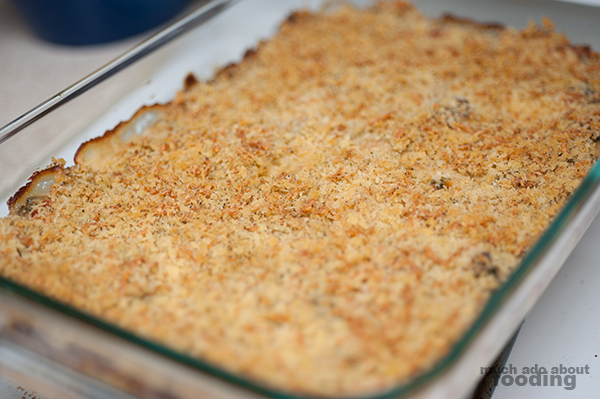 We'll be using a large 9 x 13 casserole dish for this to make sure it comes out to flat portions you can serve easily. Preheat the oven to 350°F and grease the dish. 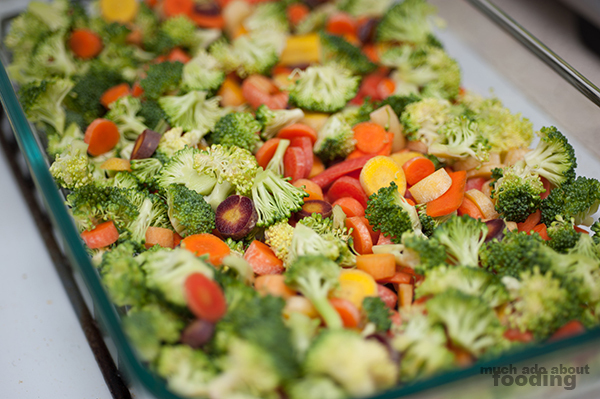 Break up carrots and broccoli as needed; place in the dish. In a large saucepan, melt butter; whisk in flour to make a roux. Then slowly pour in milk, stirring frequently to break up the roux into the milk. Let it come to a boil before reducing heat and adding in onion, thyme, red pepper flakes, and cheese. Continue to stir on low heat to prevent burning at the bottom. 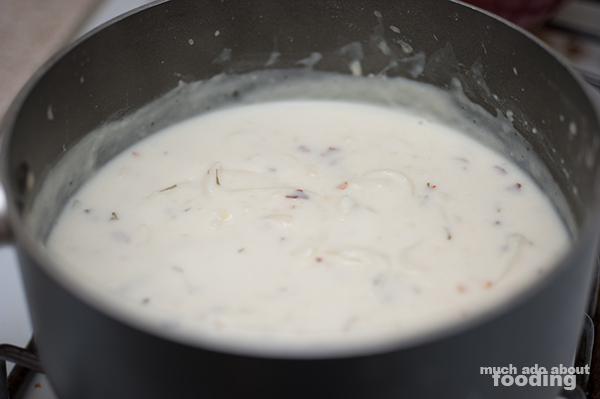 The cheesy mixture will be done once you are able to dip a wooden spoon in, raise it out of the liquid, and run a finger across the spoon, leaving a visible and defined mark. You can make it thicker if you want by continuing to simmer. In a separate bowl, mix together panko, salt, pepper, oil, and cheese; this will allow it to brown nicely later. Pour filling over the vegetables. Then top with panko mix. Bake for 50 minutes. The crust will become golden brown. Let cool and enjoy!